HomeNew BikesBike NewsWeekly News Roundup: 2019 Bajaj Dominar, Aprilia RS 150, Hero HF Deluxe IBS i3S, Honda CB300R, Yamaha FZ Version 3.0 And More! Weekly News Roundup: 2019 Bajaj Dominar, Aprilia RS 150, Hero HF Deluxe IBS i3S, Honda CB300R, Yamaha FZ Version 3.0 And More! From spy images, new launches, exclusive news to price cuts, here’s everything you need to know. With the 2019 Dominar 400’s launch right around the corner, dealerships across India have started accepting bookings for the bike. You could book the hyper tourer for yourself for a token amount of around Rs 1,000 to Rs 5,000, while deliveries for the bike is expected to commence a month later. For more details, click here. Honda CB300R Is Coming To India! Honda has announced that it will be launching the CB300R in India at a competitive price of under Rs 2.5 Lakh. The bike takes its design cues from its elder sibling the CB1000R paired with a smaller 286cc, liquid-cooled, single-cylinder DOHC engine. It churns out 31.4PS at 8500rpm and 27.5Nm at 7500rpm. Along with this, the CB300R also features LED lighting at both ends, a full digital instrument console, upside down forks and premium Dunlop tyres. Sources suggest that the bike will make it to India via the CKD route and is expected to be launched in February. Deliveries, on the other hand, will commence is a phased manner from April. You can book your bike via any Honda Wing World dealerships across India for a token amount of Rs 5,000. 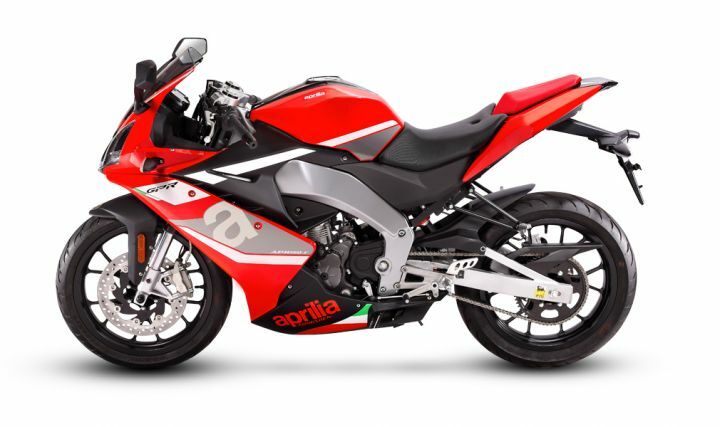 The Aprilia RS 150 which was first showcased at the Delhi Auto Expo was spotted at a dealership meeting in Goa. Surprisingly, the bike looking nothing like the original iteration which was first unveiled, as the design has been completely reworked. Head here for more information. Much like the RS 150 that was showcased at a dealer meeting in Goa, the Aprilia STX 150 showed face to gauge the response of the dealers. Question is, will the bike make it to Indian shores? To find out, click here. The BMW R 1250 GS range replaces the current crop of R 1200 GS series. It gets a bigger engine with ‘ShiftCam Technology’, better electronic aids, an all-new TFT dash and much more. Prices for the model starts at Rs 16.85 lakh and goes all the way up to Rs 21.95 lakh for the top-spec variant. Here’s everything you need to know about the 2019 R 1250 GS. Hero has launched the HF Deluxe IBS in India for a price of Rs 49,300. For this price, the bike features CBS (combined braking system) and the company's patented i3s technology which makes the bike all the more fuel efficient. Additionally, the inclusion of IBS which is essentially Hero’s lingo for CBS, makes the bike compliant with the safety regulations that will come into effect from 1st April 2019. Head here for the complete lowdown. The 2019 Kawasaki Ninja ZX-6R Launched has finally been launched in India for a price of Rs 10.49 lakh (ex-showroom pan-India). The middleweight Supersport can be booked for Rs 1.5 lakh, and deliveries for the bike is expected to commence from the first week of February 2019. Currently, it’s the only mid-displacement bike on offer in India which puts out a whopping 130PS of power at 13,500rpm and 70.8Nm of torque at 11,000rpm. More details available here. The SMW Superdual T gets a price reduction of Rs 80,000. With this, the adventure tourer now costs Rs 6.5 lakh (ex-showroom, Pune) and effectively becomes the most affordable mid-displacement dual-purpose bike in the Indian market. However, the offer is only available for a limited time period or for the first 250 customers. For more information, click here. The Yamaha MT-15 test mule has been spotted doing its rounds in India. The bike borrows its design cues from its elder sibling, the MT-09, while using the Yamaha R15 V3 as its base. Powering the bike is the same 155cc, single-cylinder, liquid-cooled motor that produces a maximum of 19.3PS at 10,000rpm and 15Nm of torque at 8500rpm. It comes mated to a 6-speed transmission and a slipper clutch. More information available here. The Japanese bikemaker has made sure that its dealership across India as well stocked up before the launch of the FZ Version 3.0. The bike features an all-new design, LED lights at both ends, ABS, new colours and more! The current-gen FZ employs a 149cc, single-cylinder air-cooled engine that makes 13.2 PS of power and 12.8 Nm of torque, mated to a 5-speed transmission. But, with the 2019 version, we can expect a slight bump in power considering its competition. Click here for more information.